Sunday night's Patriots-Seattle matchup has been hyped ever since the schedule came out. A matchup between two conference powerhouses, in a rematch of their Super Bowl XLIX battle? Even if it didn't singlehandedly boost the NFL's floundering ratings, it would surely be fun to watch. 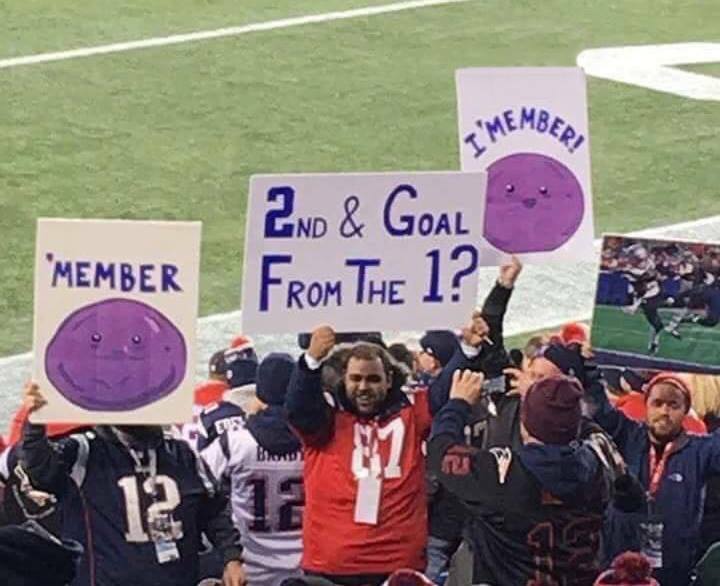 Yes, in a display of excellence, those are the Member Berries from South Park, referring to the Malcolm Butler interception that ultimately came to define Super Bowl XLIX. The Patriots ultimately lost the game, and naturally, they were stuffed at the goal line in the game's dying seconds. Either way, well done by these fans.